if your new car comes off the truck and gets scuffed. do you thing the dealership will sell it to you with the scuff? no, will they replace the entire car? no, will they remove the panel and put a new panel to ensure it is all new? no. They will send it to their body shop to sand it, buff it out, and paint it to match the color. Same thing they will do with the lower unit. A scuff on the skeg has no impact on the motor, its performance, or even its look. sand paint, go out and enjoy your new toy. Don't be "That Guy". You will want to bring the boat back to the dealer at some point. They will remember "That Guy" and treat him accordingly. But the guy who doesn't sweat the insignificant crap, deals with it and moves on with out making the proverbial mountain out of a mole hill. He will be treated accordingly as well. Brokenline, Dacman and 72barracuda like this. Well by that logic, I’m sure any new purchases you make are done without looking anything over because “it’s gonna happen anyway”, right? Doubtful. I’m sorry, but I work hard for my money, and if I’m buying something new, I want it to be new, not damaged. I understand wear and tear and use happens. I like to know the history of my things. The scars tell stories, and I like knowing the story. iwhitevt, Lee Majors and Georgianbay like this. I agree with brokenline about having something in writing. After all it’s brand new and yes I’ve personally run many times threw mud and sand, but I paid for it. I dam shure didn’t buy it after it was run in the mud. More than likely nothing is wrong with it but if the op can get a few bucks back or god forbid he has a lower unit problem later on it will at least be noted. Cam we see a picture yet? 10 posts, let’s see it. First run on my new boat, I took off some paint. It happens. they are making at least a 30% markup on your new boat. ask for a big discount. if you buy something and pay new price you want a new boat. use it as a bargaining piece. To be honest, I would probably trust that dealer. He could have touched up the scrape before and you would be none the wiser. Let him make it cosmetically correct. If the new boat is a Parker you're in luck just demand a new boat have them throw in some extra stuff. Or there are some deals on a couple new invincibles, and jupiters. or just lawyer up and Sue everyone there are lots of nautical lawyer's on this site with HI Express jd's. Last edited by Schmaltz~Herring; 03-16-2019 at 08:10 PM. As most have said it is not that big a deal. The dealer offered a suitable solution. If your not good with that look for another boat. From experience you will likely scuff the paint shortly after ownership anyway, I did. Having a dealer willing to make a reasonable repair right away is what you are looking for. 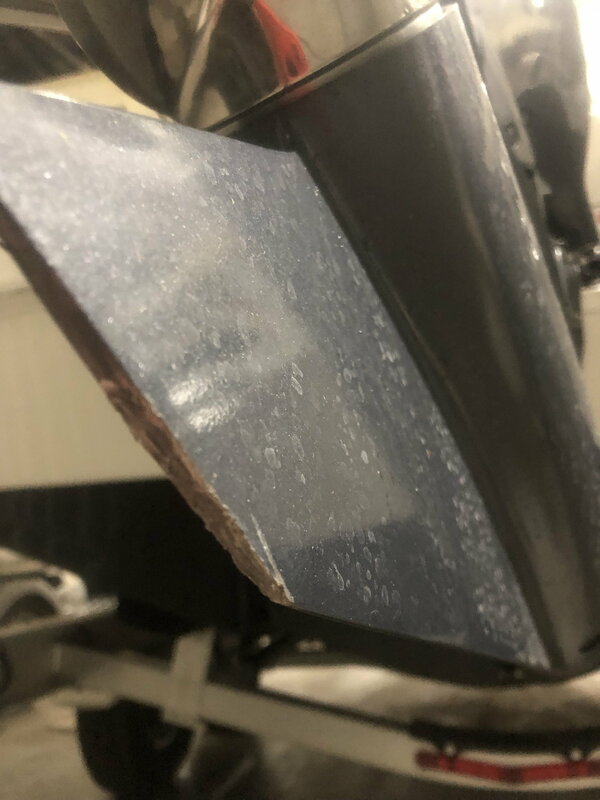 My dealer dropped one of my cowlings for my 300 and it scuffed the decals and cracked the surface but not all the way through. The immediately notified me and worked to replace the cowling with a new one. Establishing reasonable expectations and relationships between the dealer and consumer makes any future issues much easier to work through. Can you tell which skeg tip was broken off first and which one I filed to match the broken one...?? is this thread a joke or what ?????. 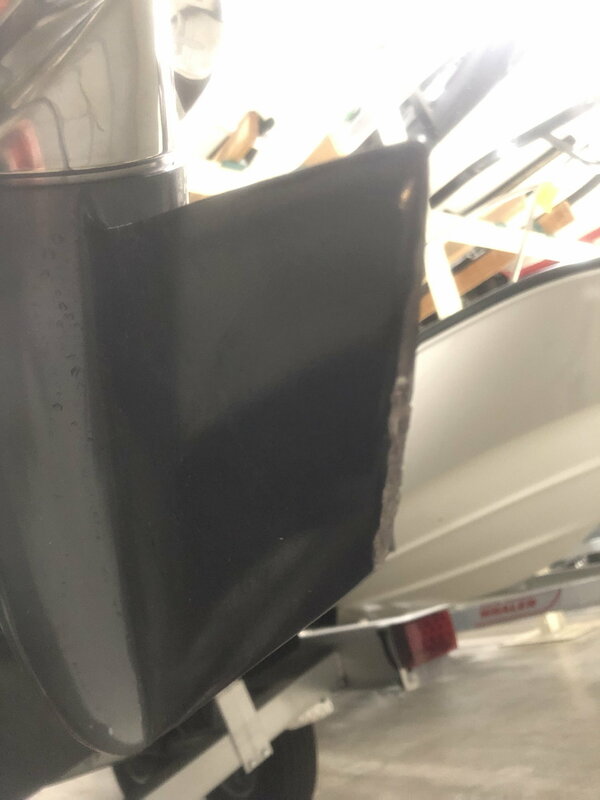 i use my skeg as a pick to stop the boat from drifting when i park up on a beach , if every scrape on my skeg meant i needed a new lower i would have to give up boating . get a barbie doll instead of a boat !. [QUOTE=1breakinit;12343610]is this thread a joke or what ?????. Edisto river is so shallow , most of the bigger bass boat have worn their skegs off in the sand. Sorry for the delay. My 10th post happened to be my 5th of the day and was locked out for 24 hours. Here are the pics finally. As to whether this was a joke post...no it actually wasn’t a joke. I thought this was a forum to discuss things about boats. As I mentioned, this is MY first boat and wasn’t entirely sure if it was a problem. I’ve been around boats enough to know how to operate them, but never owned one to know what goes into it. My apologies for coming to a forum to get advice. Ok we finally see what you are talking about. To me it looks like it was dragged on the ground while on a trailer , but I can't say for sure because I wasn't there. 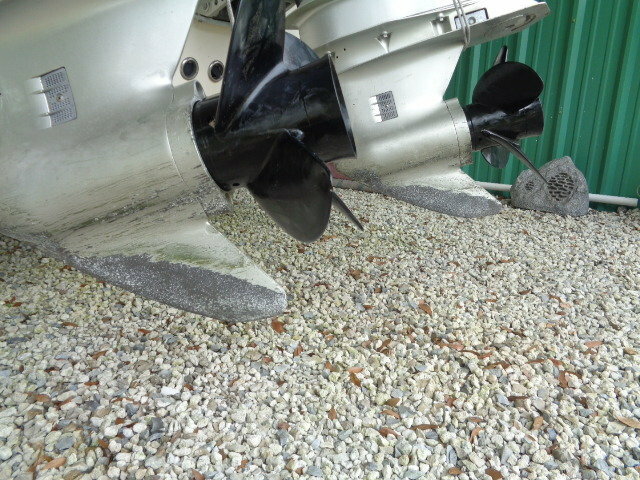 If this seems to bother you a little, go look at other boats that are brand new and are in perfect condition. If the dealer for this boat is giving you enough of a discount on the price to make you forget about the minor damage, then buy it ,use it, and go about your way. If it's a one of a kind type boat that you dreamed about for twenty years, can't find another one like it for a least 10 more years, then you decide to buy it or pass on it. Only you can decide what's good for you. By the way, it's a boat, use it, one season, and post your pics of what everything looks like after running the crap out of it, , and I bet $100.00 to a cold beer, things are not brand new any more and you had a ton of fun. It is extremely unlikely that there is any hidden damage. If the cosmetic disfiguration doesn’t bother you, then you might want to consider buying it as damaged goods. I wouldn’t buy it because I’m extremely particular. I’m also very careful and unlikely to damage a motor that way.